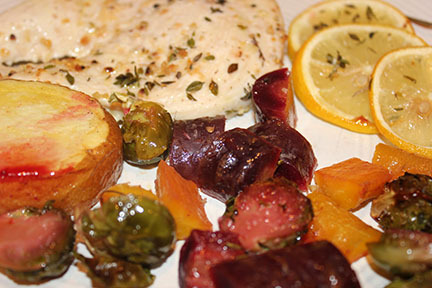 This meal could not be any simpler or easier to prepare! 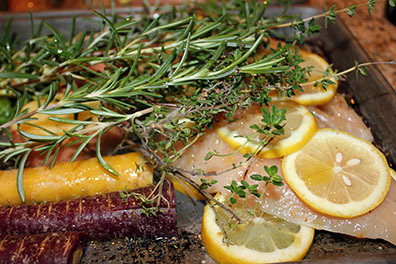 Get a sheet pan and spray lightly with cooking spray. Layer half of your sliced lemons on one side. 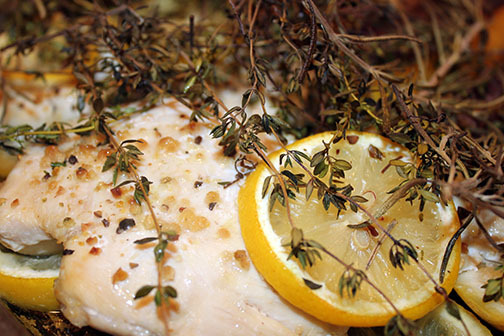 Place chicken breasts over the lemon slices. 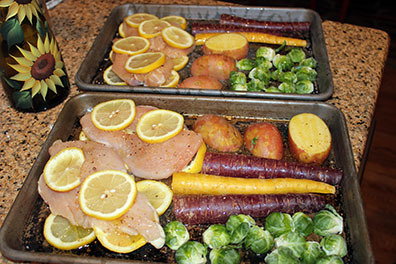 Place your veggies, cut side down, on other half of sheet pan. Lightly drizzle a little olive oil evenly over ingredients. 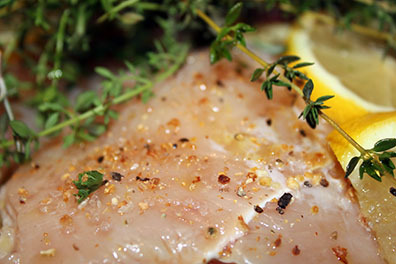 Sprinkle the ingredients on the sheet pan with the Citrus Sea Salt. 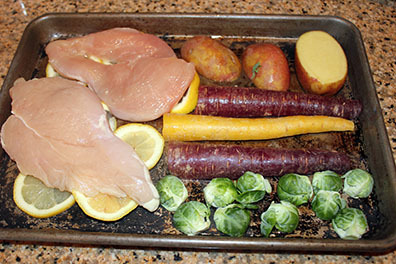 Place the remaining lemon slices on top of the chicken breasts. Cover all with the fresh herbs. Bake for 30 minutes, or until chicken temps at 165º. Soo easy and so good!